Born in Dublin, Jason graduated from the University of Ulster at Belfast in 2001 with a BA Hons in Visual Communications. In 2012 he achieved a Masters of Fine Art in Photograph from the University of Ulster under Paul Seawright, Donovan Wylie and KayLynn Deveney in 2012. 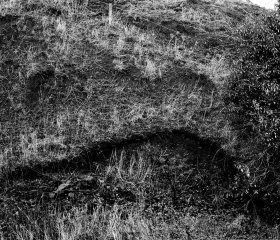 This body of work, 'Black Lung', examines the marks left by the forgotten coal-mines of rural Ireland through the use of metaphor and conceptual imagery in order to visually represent the unseen damage and scarring done to the lungs of the miners by the inhalation of coal dust.